I chose MediLodge of Hillman for myself because I’ve been here in the past and it was a fantastic stay. Everyone here is so great, and I live across the road and cannot wait for springtime to come so that I can walk over and visit everyone! I really enjoyed the private rooms. I was here last year when there were more people, and it seems a lot roomier and more comfortable this time. I even went and sat out on the couches by the nurse’s station. I will definitely be back for another stay. The reasons I chose this center is because of this location, the conversations with other health professionals, and other friends who have come for rehab. The team members who stood out to me were nurses Sara and Vonnie- they were always willing to listen about our concerns regarding medications and treatment. The staff did everything they could to make Mom comfortable and to heal. The PR, OT, assistants in the wing are awesome, patient, and kind; that was very appreciated. Every single staff member has been great. They are all very empathetic and understanding. I haven’t met one person who wasn’t great. They are very accommodating. I will definitely refer people to MediLodge of Hillman. I’m excited to be going home, but I am going to miss this place—especially the company and the food. I am very impressed with the effort the staff makes to remember everyone’s name, and call us by it. It makes me feel like I belong and we are all one big family. No matter what request I made, the staff always went above and beyond in answering it. The therapy department at MediLodge of Hillman is amazing. They never pushed me past my limits. They were generally concerned about my progress. Staff has been very kind and understanding. The therapy department has done a great job! They are the best I’ve ever had, and I’ve been to quite a few lately! I have other family members that have been residents here, and they’ve all recommended this place! I chose this center because of the great care my father received while he was here. A person who really stood out to me was Angie, from therapy. She was very patient, and she took time and consideration for her residents. Her personality was very bubbly. I have had both of my parents here, and this is where I would go if I ever needed a place like this. All of the therapy staff kept me very informed. I investigated the facility first. Teamwork was evident and love for the residents. I knew I would have compassion and love! 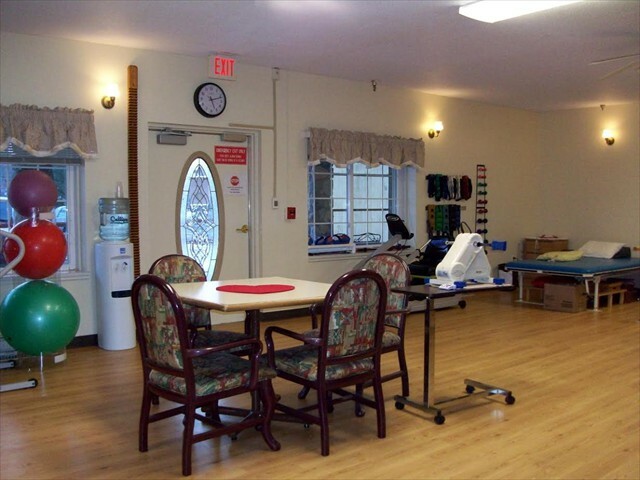 The residents and staff make you feel welcome and part of a family. When arriving at MediLodge of Hillman, it was one of the lowest times of my life. I was unable to sit up without a brace on and needed assistance. I was totally dependent on others to do the smallest task. Everyone from all departments (Housekeeping, Dietary, Nursing, Therapy, and Administration) all addressed me by my name and was kind and helpful at all times. I truly believe that by being treated with respect, like family, and treating my emotional health, made my recovery that much faster! My stay has been fantastic! The employees are fantastic and I can really talk with them. The food here is great! The ladies in the therapy department stood out and I was very impressed with how they really cared about getting me well. My son and daughter-in-law chose MediLodge of Hillman for me as they wanted me close to them. The kitchen stadd made amazing food. The food here is like ‘Grandma’s cooking’. Angie from therapy knew what she was doing and made it fun. Everything was so great. The staff on the floor was very good. I was a little sad when I found out I would be going home soon. My stay has been wonderful. Everyone at MediLodge of Hillman stood out to me. Within two days of getting here, everyone knew my name. People take the time to stop and say hi and talk to me. On top of that, I have not had one meal I dislike. The variety is great. If you don’t like the main menu, they have all kinds of substitutes. This was the place for me because it was close to home and I had heard many positive things. The University of Michigan said it was a great facility! It was a nice stay and the dining room was great. 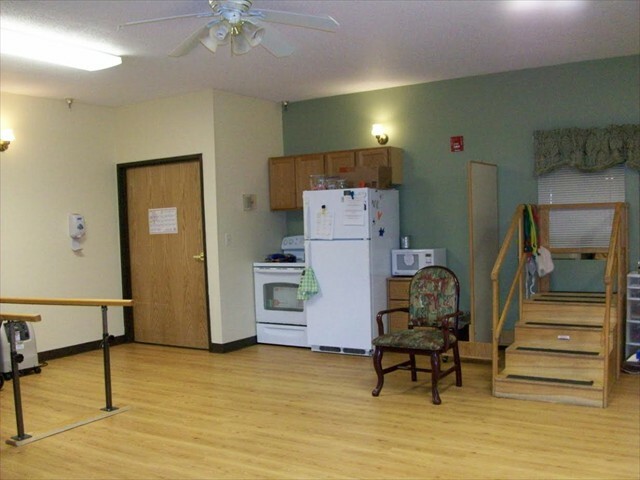 I chose MediLodge of Hillman after hospice told me about it. Overall, everybody was so nice, compatible and pleasant. I really appreciated it, and the food was really good! It was a very good experience. Everyone was so considerate. I will definitely come back here if I need to. The nurses and CNAs were great and willing to do anything to make me comfortable. The food was great. Everyone made me feel at home. It’s great t be here and the time just flies by! Everybody is really friendly and everybody knows their jobs. I’ve never had a complaint here. Catherine H. enjoyed her stay with us, stating, “I loved my private room and the food was excellent.” Her family and friends loved the place, they thought it was well maintained, clean, free from odors, and bigger than what it looks like from the outside. 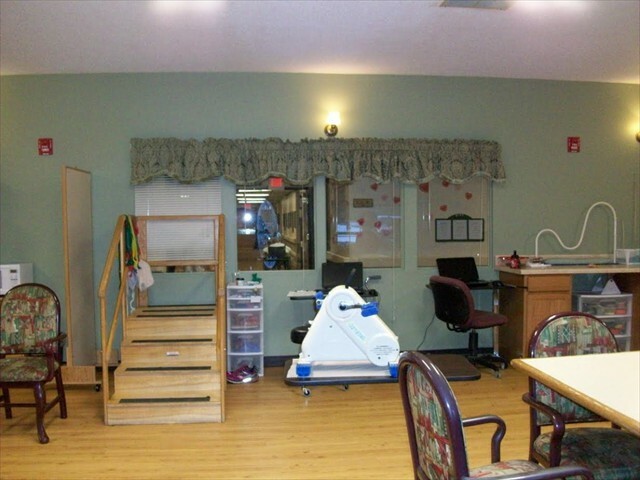 As you might imagine, the Medilodge of Hillman staff can provide you with many stories illustrating the reliability of our nursing care and rehabilitation therapy. Fortunately, so can our patients. And they do – frequently, at length, and enthusiastically! We’ll let their testimonials speak for themselves. There are more where these come from, too. If you’re researching who can best provide for your recovery or rehabilitation, contact Medilodge of Hillman to get additional feedback on the services we provide. My husband, Ed Kreft, and I would like to thank you and your staff for the beautiful Thanksgiving dinner for the residents and family. We were impressed with how well everything was handled- wow! It was really well planned and the staff did a great job, from being able to handle so many people to the actual serving and the cleanup. We appreciated being seated in the conference room where our family could have a little quiet time to visit, especially since all three of our sons were here, plus our daughter and her husband. Ed was surprised that our daughter was able to come, and of course it made this a very special day for him. It was special for all of us since we would not have been able to celebrate Thanksgiving at our home this year. This was just perfect! We were amazed that with the number of people there, what great service we had! There was constantly someone checking to see if we needed anything. The dinner was beautiful, and we all enjoyed it. In fact, Ed even managed to tell us how much he enjoyed it, and that is a real plus because he has such difficulty expressing himself. He managed to stay up for several hours, which is very unusual. The staff greeted us and treated Ed as though he was just the most special person, which made him feel good and also made us realize how fortunate we are to have him there and cared for by such caring people. He loved the attention and all the hugs and good wishes. I wish I could name a few of the special people who did some of the special things, but I really wouldn’t want to leave anyone out. Everyone did a great job, and the kitchen put out a beautiful dinner. You are all to be commended for taking the time and making the effort to do this for the residents and their families. A very hearty thank you to all of you from our family. I want to express my profound gratitude to the personnel of Medilodge, from the front office to the receptionist, for the excellent care that you gave me during my stay with you. I made many friends, on your staff and among the other residents, while I was with you. The hallmark of your services to those in need is the unique combination of professional skill, compassion, and willing service. Not once did I encounter a frown, or the slightest hesitation to help others. 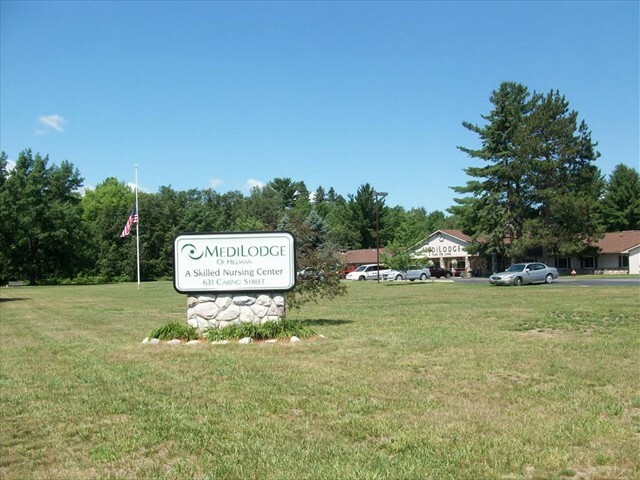 I came to Medilodge after my stay at the hospital; I needed to regain my strength. Everyone was so kind to me; there are so many people from the community that work here. You have a great, fun bunch in the therapy department. It’s a good place to be, my stay was very pleasant and I would recommend Medilodge to everyone. 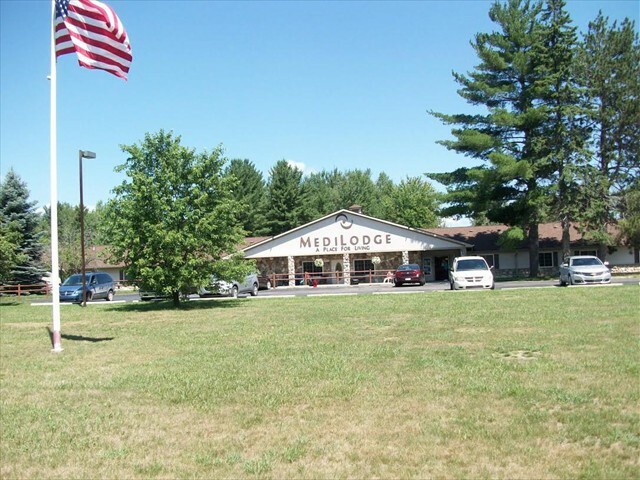 After my knee replacement, the staff at Medilodge was just wonderful. I loved my private room and the decor of the building made me feel like I was at home. All the nurses were great, and I enjoyed all the activities that they had to offer. The girls in the therapy department really inspired me, their expertise and outstanding care got me back home quickly. Everyone here was so good to me; I am so impressed with Medilodge. I really enjoyed my stay as well as the companionship of my roommate. The therapy department set up a daily program and worked with me everyday. When not in therapy, I stayed busy with all the activities that Medilodge offers. I have already referred people to your facility.